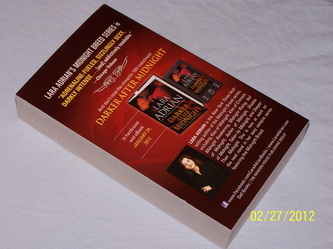 When Pen Met Paper is participating in the "Lara Adrian Fan Ambassador promotion" and as such, we have been given 8 copies of the first book in Lara Adrian's exciting Midnight Breed series. We want to help get the word out about this amazing author and her hunky vampire heroes, and we need your help! Whether you are new to the series or are a long-time fan, enter to win your special promotional copy of Kiss of Midnight! Just tell us who you want to win this for! Yourself, a friend, co-worker, family member etc. 5. Post (1) comment anywhere else on our site. Please leave a separate comment (on THIS post) for each additional entry. Contest is open to all U.S. Residents. Deadline for entries is March 23, 2012. Prize winners will be announced on March 24, 2012 here, on our Facebook Fan Page, Twitter, and via email. Winners will have (1) week to email us with their address, and then we will re-draw. New Giveaway ~ $20 gift card to the book store of your choice! A big THANK YOU! to everyone who entered! The winner, chosen using Random.org, is...... June L.
We will be emailing you with further instructions. You have 7 days to reply with your book store choice & mailing address or we will re-draw. The holidays have come and gone, but there's still one present within your reach! Just think of all the e-books you can buy for your new e-reader, or the stack of shiny new paperbacks you can add to your collection! 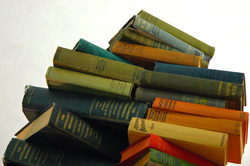 Which book(s) releasing in 2012 are you most looking forward to reading? Contest is open to all U.S. Residents. Deadline for entries is January 27, 2012. Prize winner will be announced on January 28, 2012 here, on our Facebook Fan Page, Twitter, and via email. Winner will have (1) week to email us with their address, and then we will re-draw. This contest is now CLOSED. The Grand Prize winner, chosen using random.org, is Landin! You win a copy of Scandalous Desires and a copy of the Insiders Guide to the Maiden Lane Series. Lucero Guerrero, Melody Broussard, Lesley F., Joan Coussoule, gamistress66, Ginny, Kim, Rach, and Hellion! Elizabeth Hoyt giveaway for you! Contest is open to all U.S. Residents, Age 16+. Deadline for entries is October 28, 2011. Prize winners will be announced on October 29, 2011 here, on our Facebook Fan Page, Twitter, and via email. New Giveaway - $20 e-certificate to Amazon! Giveaway is now CLOSED. Thank you to everyone who entered! Those were some great book quotes. The winner, chosen by random.org, is Cynthia C! We will email you your Amazon code shortly. Congrats! We have a new Giveaway for you all! Up for grabs this time is a $20 e-certificate to Amazon.com! What is your favorite book quote and which book is it from? Contest is open to all U.S. Residents, Age 16+. Deadline for entries is October 3, 2011. Prize winners will be announced on October 4, 2011 here, on our Facebook Fan Page, Twitter, and via email. Giveaway is now CLOSED. Using random.org, the winner is... Comment #35, Theresa! Please email us back with your mailing address. Thank you to everyone who entered! Stay tuned for a new giveaway soon. It's time for a new giveaway and this time the prize up for grabs is a brand new copy of Past Midnight by our September Spotlight Author, Jasmine Haynes! The winner will also receive a personalized bookplate and book mark from Jasmine herself! To enter, just leave a comment with your answer this question: When is the last time you stayed up past midnight with a book you couldn't put down, and what was it? Contest is open to all U.S. Residents, Age 16+. Deadline for entries is September 13, 2011. Prize winners will be announced on September 14, 2011 here, on our Facebook Fan Page, Twitter, and via email. 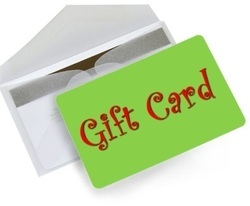 New Giveaway - $20.00 gift card to the book store of your choice! Madlen Vasileva! Please email us within 7 days with your shipping information and choice of book store (Amazon, Barnes & Noble or Books-A-Million). If you could trade places with any book character, who would it be and why? Contest is open to all U.S. Residents. Deadline for entries is August 18, 2011. Prize winners will be announced on August 19, 2011 here, on our Facebook Fan Page, Twitter, and via email. CONTEST IS NOW CLOSED. We've re-drawn a winner since we never heard back from the first. THE WINNER, CHOSEN BY RANDOM.ORG IS COMMENT #61, LINDA KISH!! Linda, please email us back with your shipping information. A HUGE thank you to everyone who entered. Check back on this page for more giveaways! That's right! 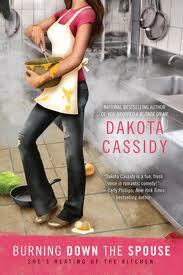 We've got a shiny new copy of Dakota Cassidy's Burning Down the Spouse up for grabs. To enter, answer this question: What was the last thing you burned in the kitchen? 1 winner will be randomly selected using Random.org. Deadline for entries is July 29, 2011. Prize winner will be announced on July 30, 2011 here, on our Facebook Fan Page, and via email. The giveaway is now closed. The winners, chosen by random.org, are: Sheila (comment # 27) and Patricia (comment # 55). Ladies, we've sent you an email, please reply back with your mailing address and the choice of your bookseller. When Pen Met Paper is giving away a $10.00 gift card to the book source of your choice: Barnes and Noble, Amazon, Borders or Books-A-Million. 2 winners will be randomly selected using Random.org. Deadline for entries is July 15, 2011. Prize winners will be announced on July 16, 2011 here, on our Facebook Fan Page, and via email. Giveaway contests open to all U.S. Residents, Age 16+. No purchase necessary, void where prohibited. Winners will have (1) week to email us with their address, and then we will re-draw.